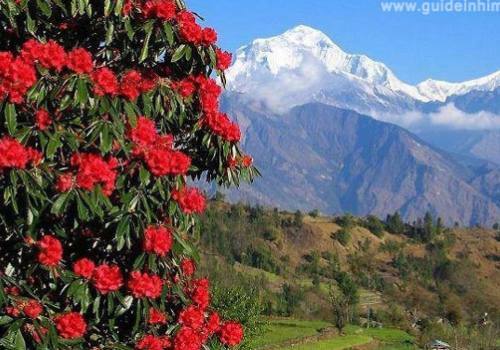 Short village trek around Kathmandu valley offer delightful holiday, just within an hour drive from Kathmandu. 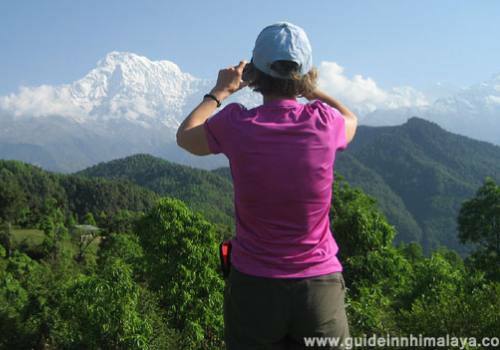 Balthali Village Trekking offers traditional and rural Nepal with splendid views of different Himalayan ranges. Nature lovers and bird watchers can spend and enjoy days exploring and discovering some excellent species of wildlife, tradition and civilization untouched by modernity. 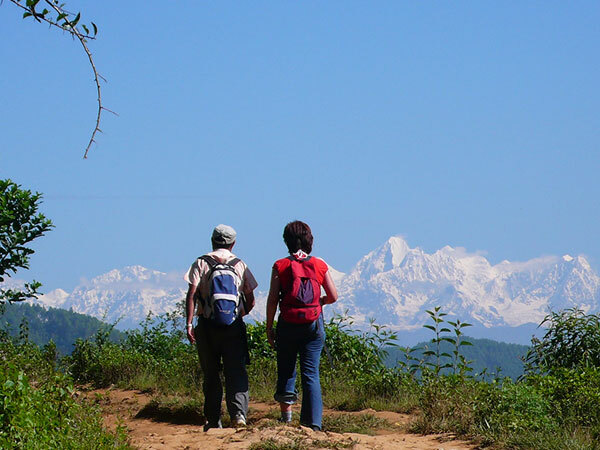 This "off beaten location" has infinite trials leading to many villages of Tamang, Newar and some ethnic tribes area offer several other excellent short hikes and mountain biking experience. You don’t have to be extremely fit to do this small trek just you should have a spirit of 4-5 hours a day walk is enough to enjoy the tour. 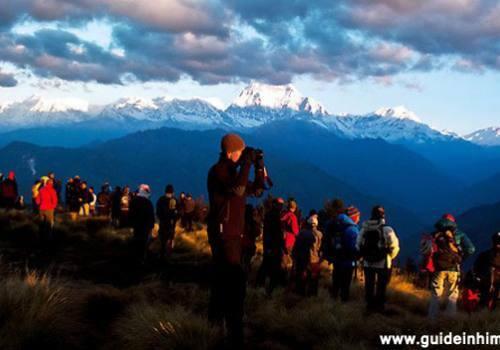 This isolated Balthali Village Trekking Tour rewards you a variety of flora and fauna, friendly and hospitable Nepalese people, we can experience the grandeur view Langtang Himal, Ganesh Himal range, Manaslu, Dorje Lakpa, Gaurishankar, and Everest on the northern horizon. 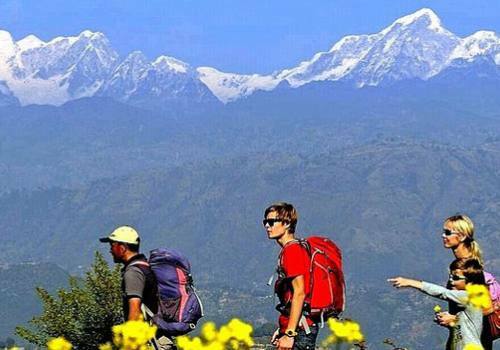 the place is less crowded as only a small number of tourist trek around the Kathmandu valley whilst most of the visitors go to major trekking routes such as; Everest base Camp, Annapurna Base Camp, Round Manaslu or Langtang Trekking etc. however this short and small trek is delightful and interesting during your short stay in Nepal which allure for its nature environment, village life of locals and interaction with folks, history, custom, traditions and religion. 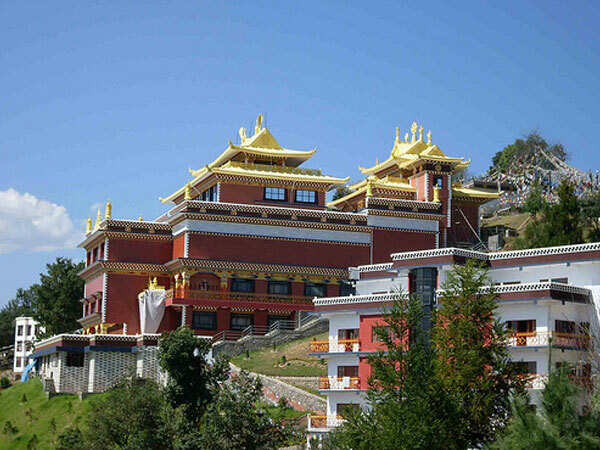 We trek through the deep forested with luxuriant growth of various floras vibrant rhododendron, Magnolia and Sal trees, terrace fields and sacred land, Namo Buddha, the place where Lord Buddha was born as a prince before Shakyamuni Buddha was born. Staying in Balthali Village resort beyond is warmly hospitable and best services. Arrive in Kathmandu and I will pick you at airport and transferred to the selected hotel. A welcome dinner is held in the hotel for all clients arriving today. A short brief about your trip. Stay overnight in hotel. City sightseeing tour to world heritage sites; Pashupatinath, Boudhanath, Kathmandu Durbar Square and Swayambhunath(known as a monkey temple among westerners).The area has an amazing range of fascinating highlights, whatever your interest. 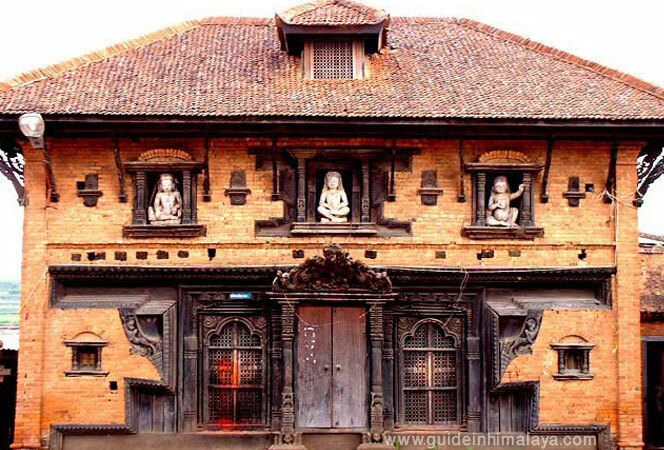 Excellent bookshops, extensive markets, and novelty and handicraft shops contrast with fantastic centers of cultural and spiritual significance - Kathmandu has more World Heritage sites than any other city in the world. Stay overnight in hotel. Day 03:Drive to Panauti- Walk to Balthali Village Resort, approx 2 hours walk. 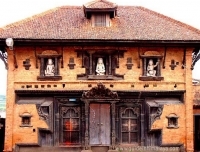 An hour drive to Panauti from Kathmandu and promenade around this town here you can see the 800 years hindu temple of statues of the Bishnu, the Sun God Surya and the Moon God Chandra Along the river bank is an opportunity to visit the local Ghats, cremation ground. 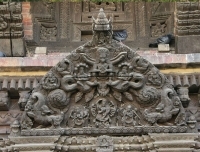 Panauti has been totally restored by donations from France. A scenic drive of about 4 km takes you to Khopasi where your luggage will be transported to the resort by our porters. Either, you can then walk for about an hour up to the resort, or for those who like walking, a three-hour stroll through the paddy fields up to the resort can be arranged from Panauti. Day 04:Excursion around Balthali- walk to Namobuddha. 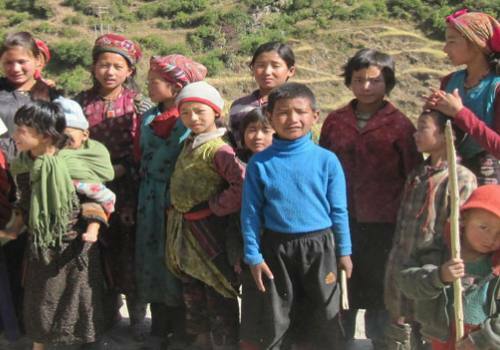 Today after breakfast, explore a typical Tamang village, Dada Gaun, where a Buddhist Community lives. It is very traditional and secluded from the modern world. Here people and animals live together side by side. 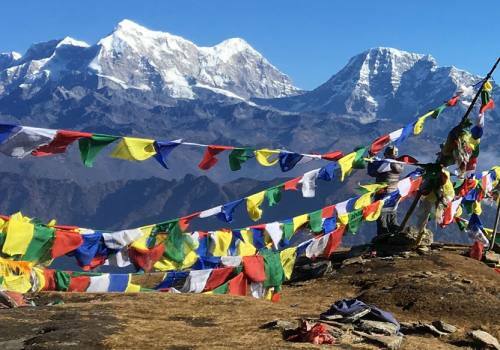 We then walk to Pada Gaun (2100m), from where one can have tremendously excellent views of the whole Himalayan range to north horizon and beautiful green forest of Mahabharat and trek to Namobuddha, one of the pilgrimage sites of Buddhists in Nepal. 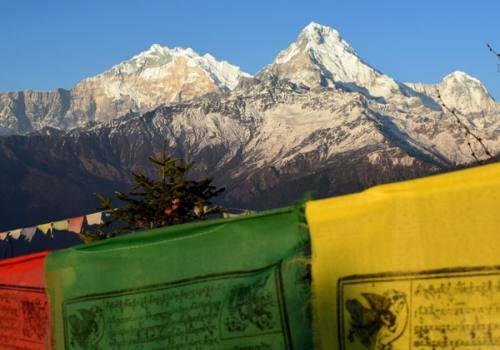 It is believed that the ancient Buddha was born here as a Prince (see Namobuddha Pilgrimage Tour) Nepal. 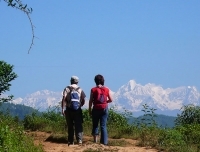 From here you have wonderful views of Gauri Shankher and many other magnificent Himalayas. 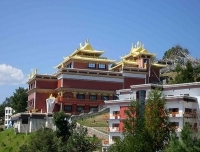 Stay overnight in monastery lodge. Day 05:Namobuddha – Dhulikhel/1440m, 3-4 hours walk – Drive to Kathmandu. 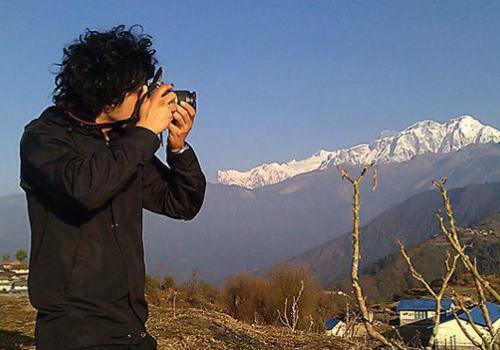 Today, after breakfast we Trek to Dhulukhel. In the beginning we follow the unealled road to Kavre Bhanjyang the hike up to the top of Dhulikhel Mountain view, there we will see a giant statue of Lord Buddha. Explore the surroundings and enjoy view of Dhulikhel Town then head down to city and Drive to Kathmandu. 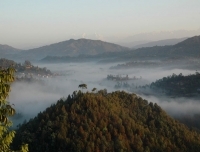 Take breakfast in hotel and drive to Bhaktapur, one of the oldest medieval old towns in Nepal. 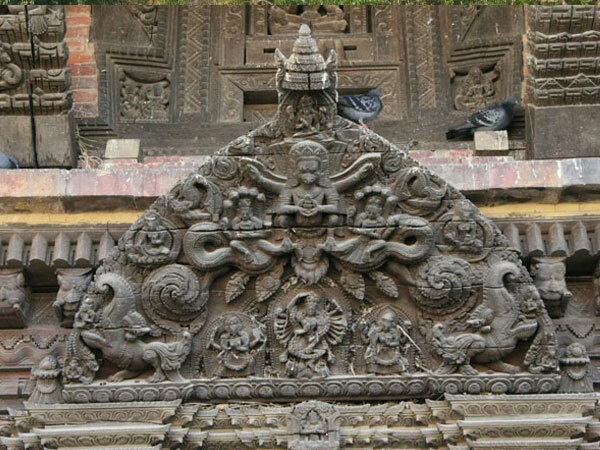 Which takes about 1 hours by car and explore or sightseeing in stunning old Bhaktapur Durbar Square. Lunch break there and drive back to Kathmandu. Stay in hotel. It is departure day from Nepal to your home country. We will drop you at international airports to fly back to homeland but you could combine with other programs if you are interested to extend your holiday in Nepal. Government registered fluent English speaking and friendly guide and necessary porter. 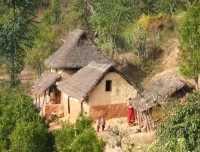 Food, accommodation, salary for your guide and porters. Government taxes, vat and office service charge. Personal insurance, International air ticket, visa. Toiletries, Internet, phone calls and laundry service.